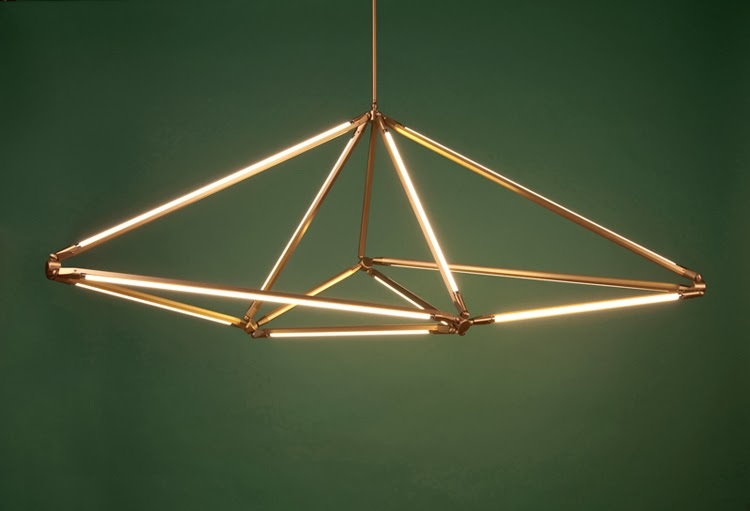 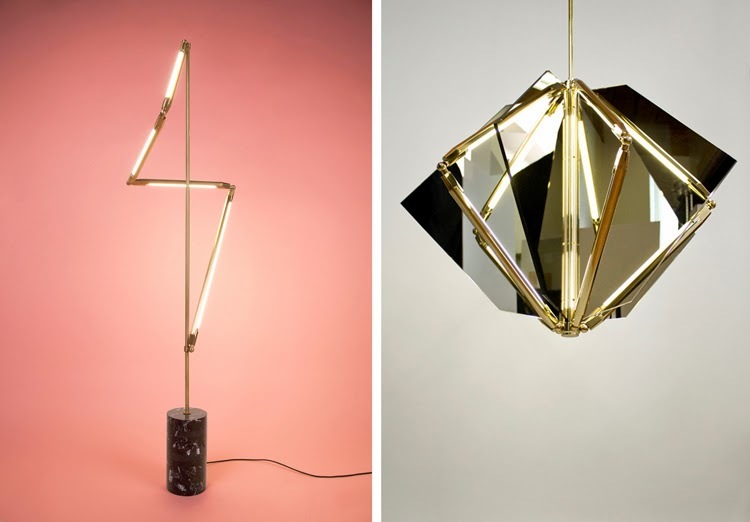 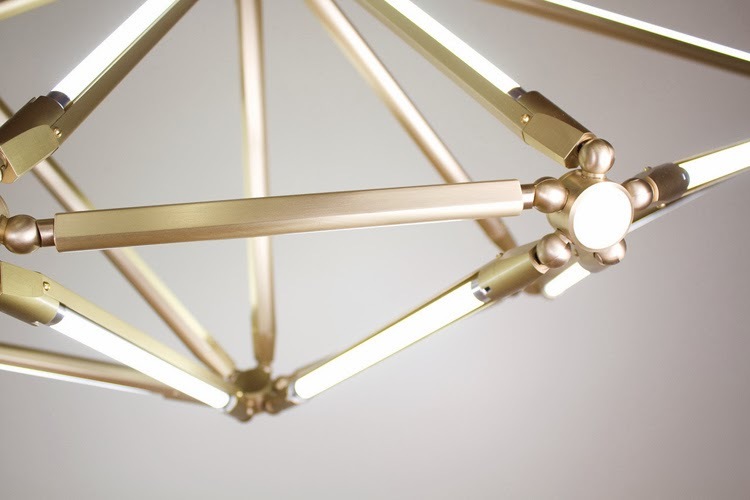 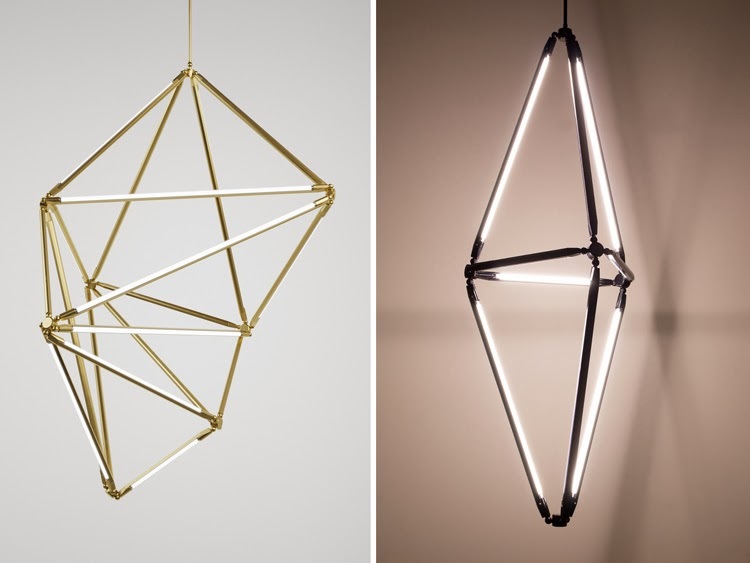 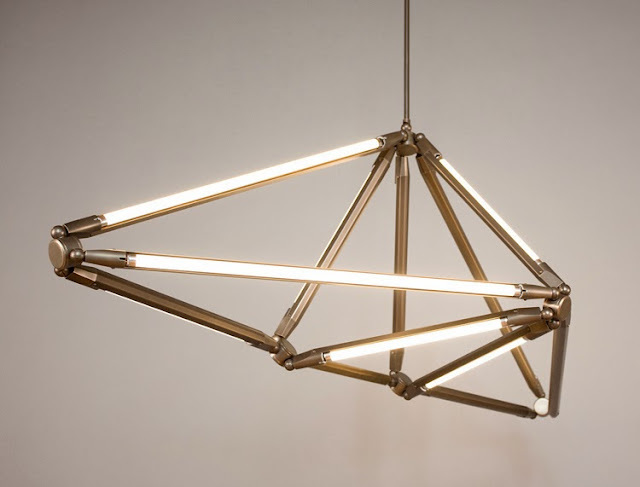 Those are some of the names of the stricking beautiful lighting by Brooklyn based Bec Brittain. 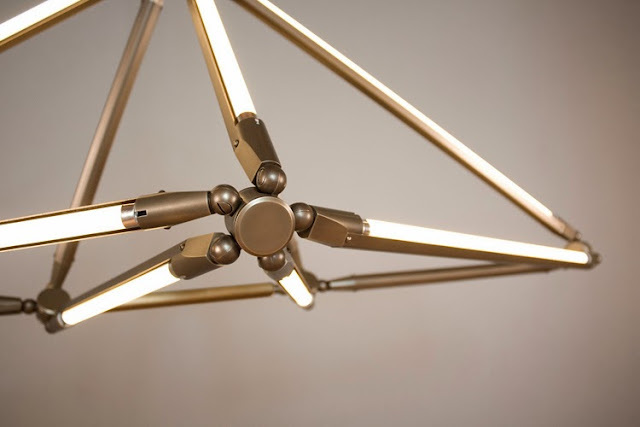 Her designs draw upon a varied professional and educational background of architecture, philosophy, and product design; the work brings those different themes together, shaping the complexity to arrive at a new clarity. 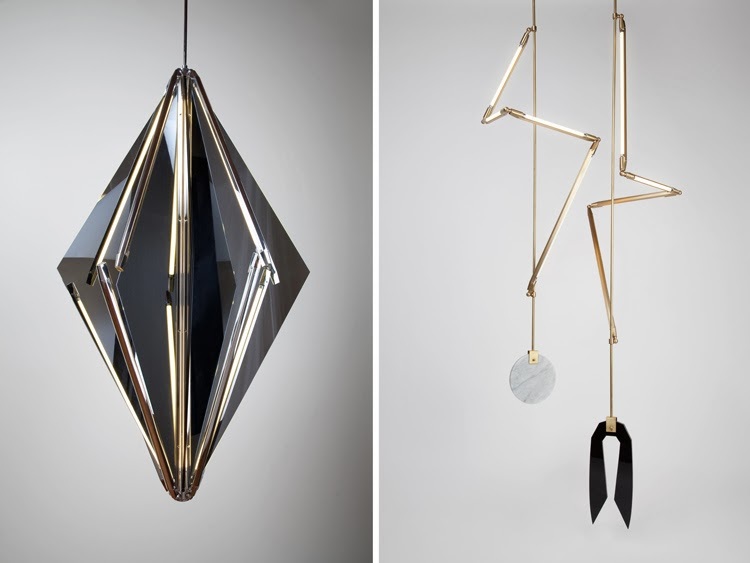 Located in Red Hook, Brooklyn, her studio focuses primarily on high-end lighting and prioritizes manufacturing locally. Love the slender design and the material used – must have one ... or two. Via Arcademi.